At-home DNA test kits are always big sellers during the Black Friday and Cyber Week sales events, but don’t worry if you missed out on the killer sales we saw last month. Why? Because all the best ones are back! 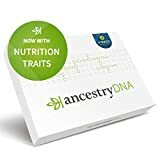 Amazon is running some excellent deals on DNA tests right now, and all the most popular kits on the site are covered. The $100 AncestryDNA: Genetic Testing Ethnicity test is the single best-selling test on the site, and you can snag it for $59 on sale right now. 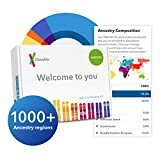 You can also get the upgraded $110 AncestryDNA: Genetic Testing Ethnicity + Traits for $69. 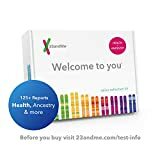 If you prefer 23andMe, the $100 23andMe DNA Test – Ancestry Personal Genetic Service is on sale for just under $69 and the $200 23andMe DNA Test – Health + Ancestry Personal Genetic Service is down to $139. These are all limited-time deals that will likely end soon, so grab one while you still can.